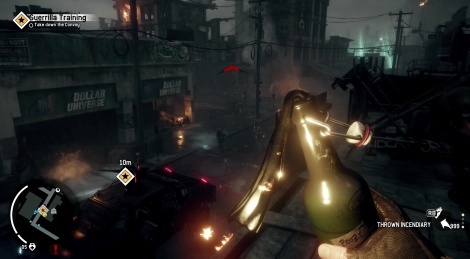 Deep Silver sent us the high quality gameplay demo of Homefront: The Revolution, revealed at Gamescom. It shows the guerrilla warfare between the Resistance and the KPA forces in the vicinity of Philadelphia. The title will hit PC and consoles in Spring 2016. This commander girl looks and sounds like Trenna Keating from Defiance. Is that her? Interesting. I like, that he really attaches the aim sight on the rifle and it's not just appearing on it. A lot of gadgets and stuff...interesting. I know that Crysis was the benchmark of real time weapon customization and its my all time favorite FPS alongside Warhead. 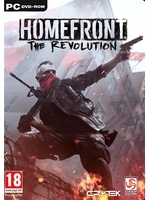 Homefront is doing it too and Deus Ex Mankind Divided, but only Homefront is doing the real time attachment animations which is nice. Didn't even make it through the vid. Just seems boring. i still don't know how they dare to show the game at 60fps when the final product will be available at 30fps same thing happenned with dying light they blown us away with a demo running at 60fps on PS4 later they apologize for the game running at 30fps i mean come on!